"My son has almost forgotten what it is to live without pain. He has been battling cancer for more than 4 years now. His recurrent fevers and painful chemotherapy has robbed him of all his energy. He is too tired to even talk now. We borrowed money even for the injections and haven't paid it back yet. This time he needs a bone marrow transplant to survive. He knows that we cannot afford it. But he has not asked us anything about it. I cannot bear to think about the thoughts running in his mind. He fears death, I have no strength to even look at his eyes." 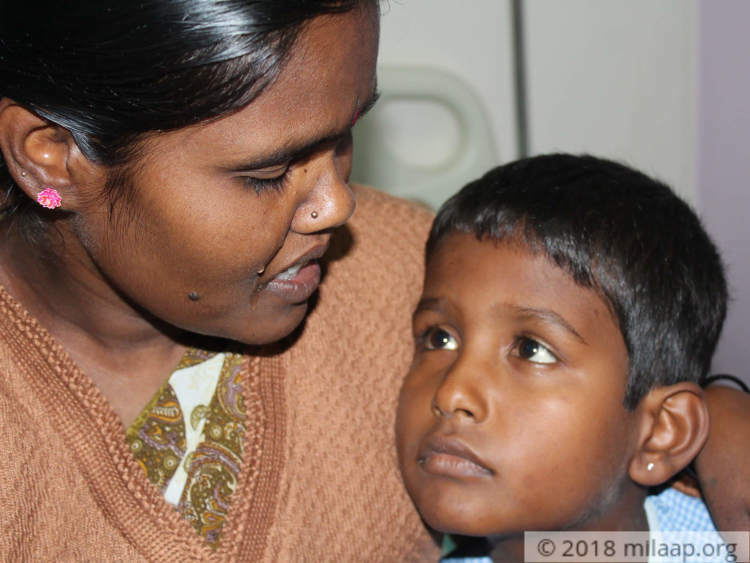 - Lakshmi, Mother of 11-year-old Suresh. Suresh is the youngest in his family of four, and he is the most pampered too. The past 4 years have been a nightmare for him though. He suddenly fell sick and was often tired. He was losing weight. 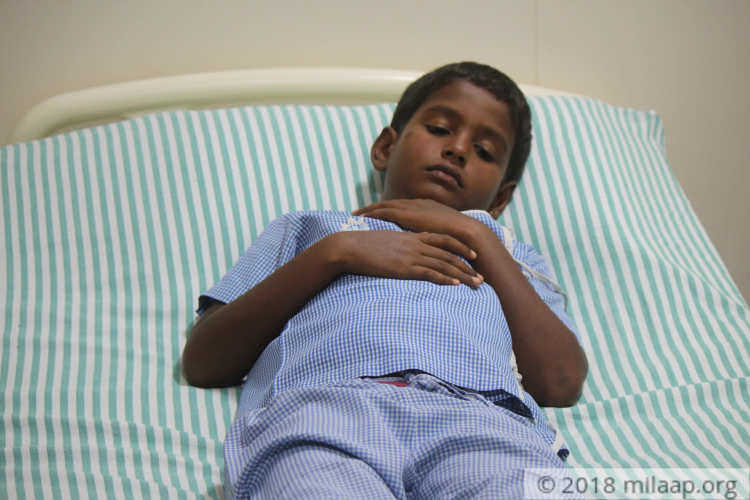 Poor parents believed that it is normal and he would recover soon. But they were terrified when he fainted and even threw up water. He was taken to a hospital and to their shock he was diagnosed with Acute Lymphoblastic Leukemia, dreadful cancer that affects the immune system. It starts in the bone marrow and can spread rapidly to other parts of the body. "We did everything possible to save him. Even his sister quit her studies and started to work to support us. We begged everyone we knew, we skipped meals and provided treatment for 2 years. When he finally came home, we had nothing with us. We had to start everything from scratch but we were still happy that we were able to save him. We gave him proper care but all our efforts and hopes vanished overnight when he again started throwing up. Our nightmares became a reality - his cancer relapsed." - Sulappa, Father. 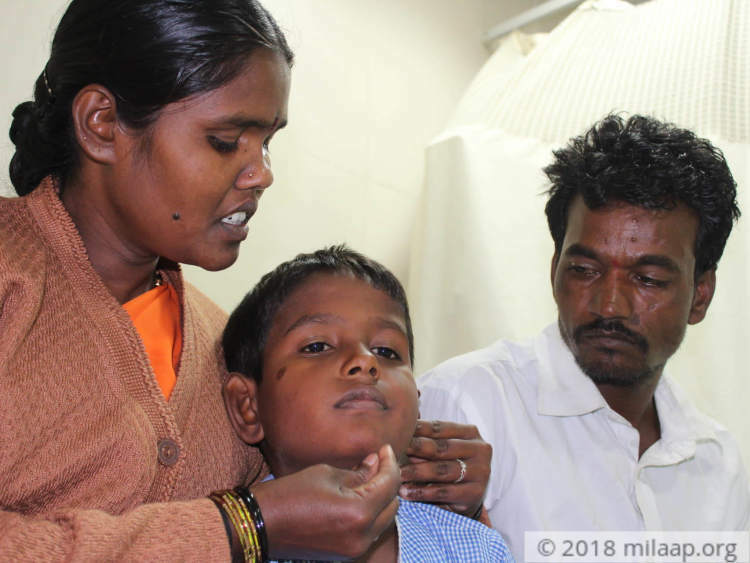 Suresh's parents managed treatment for the first time. But this time his cancer is even more aggressive and it can kill him without urgent bone marrow transplant. Suresh is getting weaker day by day. His skin has become very pale and the fever is refusing to go. He has unbearable joint pain and he can hardly move his hands and legs. He needs a transplant before cancer spreads to his liver and spleen.
" Doctors have told that even a small infection can kill him. We do not move from him even for a minute. But all we can do is to watch him suffer helplessly. He cries in pain, sometimes even medicines can't ease his pain. We can no longer hide anything from him. We have lost our strength, we try to fight back our tears but every time we see him suffering we break into tears. " - Sulappa. 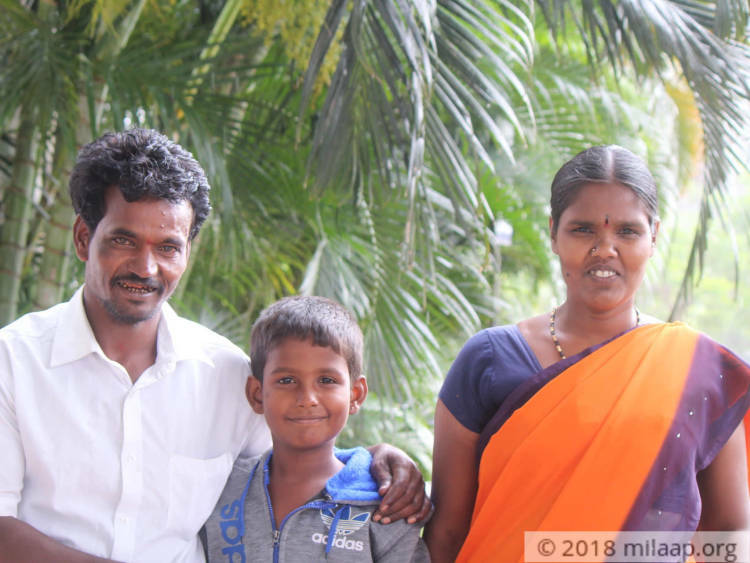 When Suresh was first diagnosed with cancer, the family was forced to make a terrible choice to save his life. His parents quit their jobs to be with him and take him to the hospital for regular care. His sister Suma quit her studies to work and keep his treatment going. She still washes vehicles at a service centre to help buy medicines for Suresh. Drowning in debt, and left with no other doors to knock it, the family is now totally helpless in the face of their son's suffering. "Every day I call everyone I know – begging them for money. What little my daughter earns is used up in keeping a roof over our heads. I don't know what to do anymore. 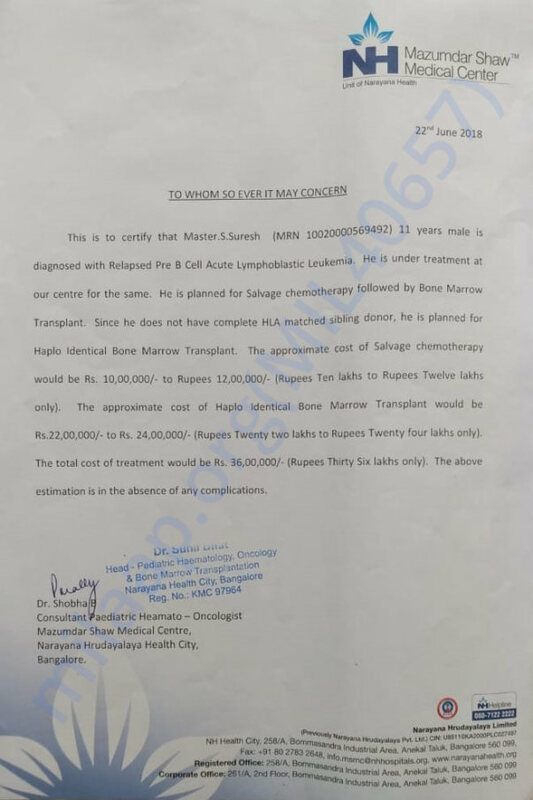 We need Rs 40 lakhs for a bone-marrow transplant. When I can't arrange a few thousands – how will I manage to get so much money.? Despite the painful treatment, he has not lost his will to live. He is longing to live a normal life but his fear of losing his life is visible in his eyes. How can I give up on him just because we don't have enough money?- Lakshmi. Suresh's family have suffered along with him in the last four years of his battle against cancer. They have lived in fear for his life all this time. His sister gave up her studies and started working to save him. Now they have nothing left with them and they are afraid that their poverty will take away their child's fighting chance. 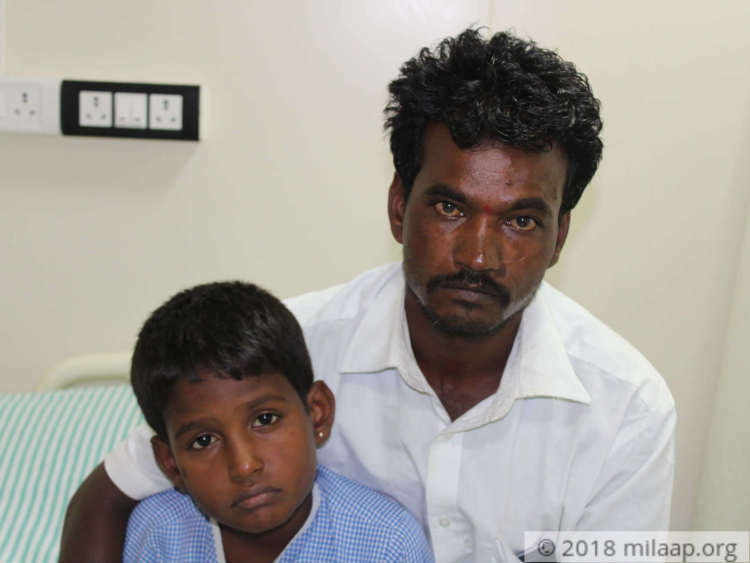 He needs an urgent bone marrow transplant to survive. 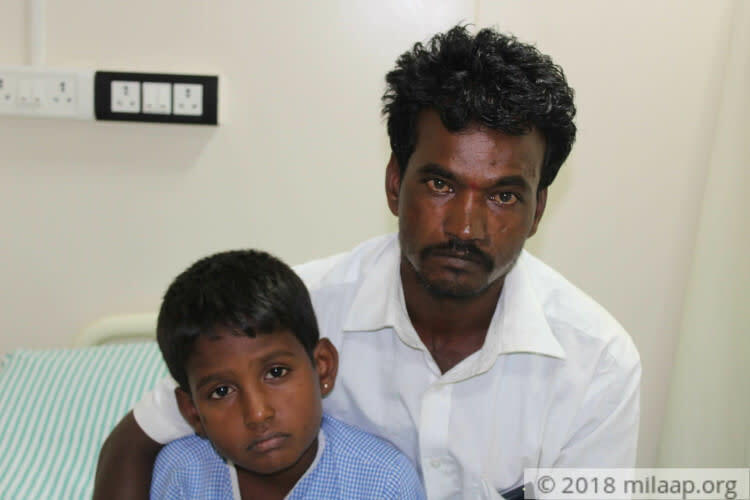 Suresh has a high chance of recovery with the transplant, with your support he can make it and live a normal life with his family. Suresh is doing well. Suresh is undergoing his treatment. Suresh needs to undergo his Bone Marrow Transplant soon. Please share this campaign with your friends and family and help him. Suresh is undergoing his treatment now in the hospital. He is stable and is recovering. He is planned to undergo Bone Marrow Transplant but he needs for more funds to undergo his transplant. Please support him. Thank you for the support shown towards Suresh. He got discharged from the hospital a couple of days ago. He has a fever but it has subsided now. We are unable to gather enough funds to go ahead with the transplant surgery. We pray that you share this campaign with your friends and family and help to support him!